Motorola has rolled out official Android 5.1 update for Moto X (First generation) devices. 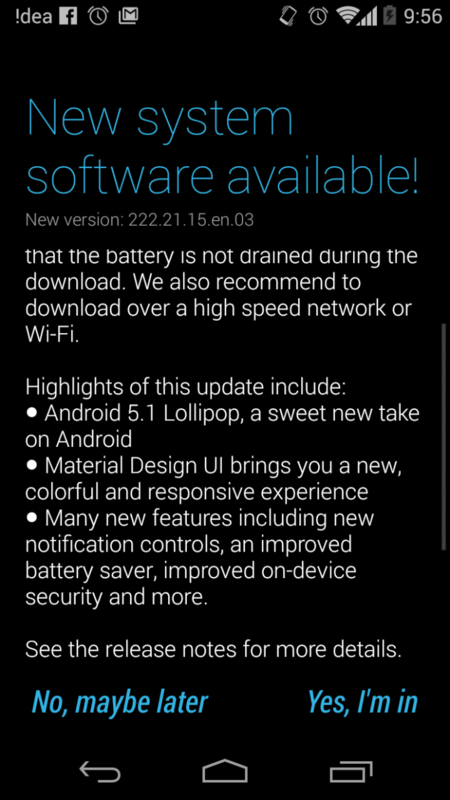 Android 5.1 is one of the most awaiting updates for Moto X first generation devices and update is finally here. As ever, you mightn’t see the update notification immediately, as these things tend to be periodic. But the wheels are in motion, so if the software update hasn’t reached you just yet, then it’s currently meandering its way through cyberspace. Next articleOnePlus Cardboard at less than $2!